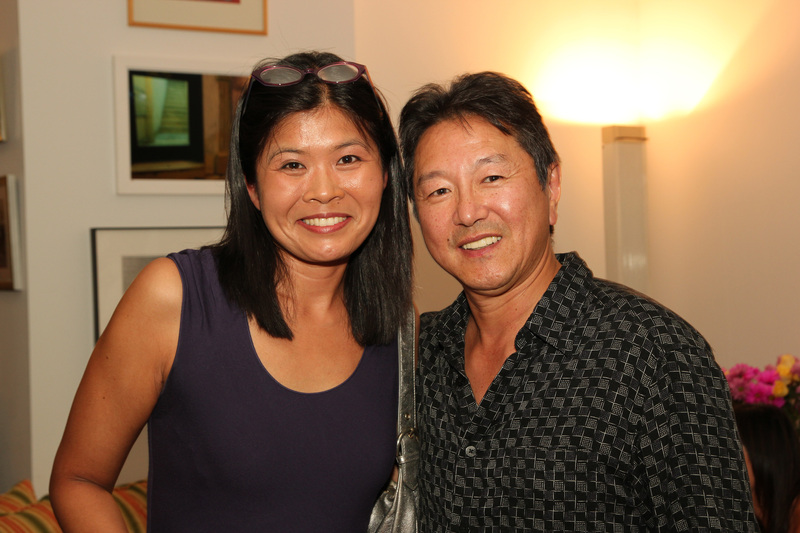 On Wednesday, July 27, I reconnected with Rick Shiomi, the author of one of my favorite plays, “Yellow Fever,” when we were both in Washington D.C. at the Asian Reading Room of the Library of Congress in the Thomas Jefferson Building. 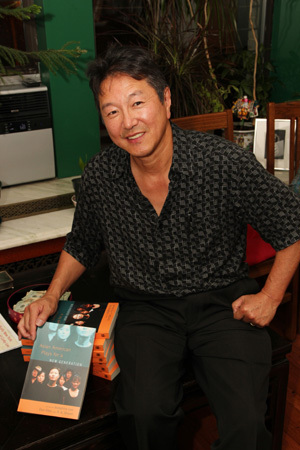 The groundbreaking Asian-North American playwright, taiko troupe leader, and artistic director of Mu Performing Arts, was on a week long book tour to promote “Asian American Plays for a New Generation” (Temple University Press, June 2011), which he co-edited with Josephine Lee and Don Eitel. 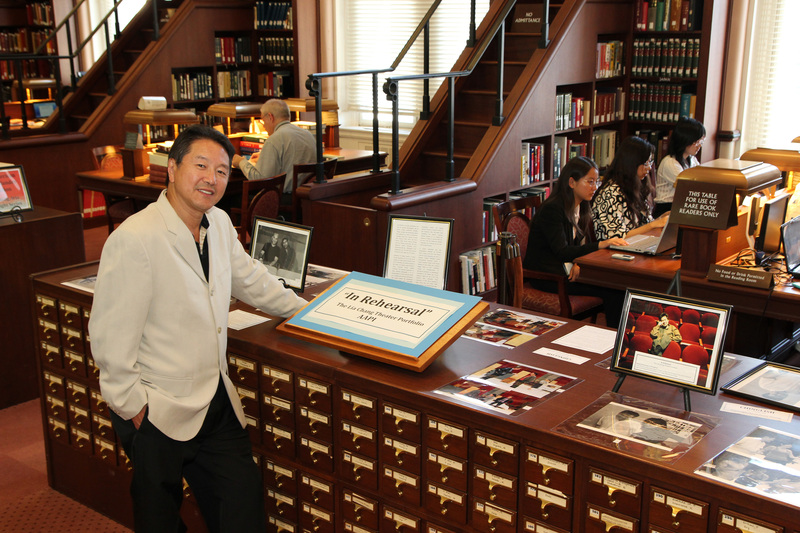 Reme Grefalda, the curator of the Asian Pacific Islander Collection, had put together a marvelous program which included his talk about the Anthology, and a week-long display in the Asian Reading Room of the Library of Congress. The display featured 37 photographs drawn from the Lia Chang Theater Portfolio including Thom Sesma’s Makeup Transformation as Scar in Disney’s “The Lion King Las Vegas”; rehearsals of a staged concert of Robert Lee and Leon Ko’s musical “Heading East” starring BD Wong at the Asia Society in New York; of David Henry Hwang’s play, “ChingLish,” which premiered at the Goodman Theatre in Chicago this summer and is bound for Broadway this fall; and of “Bakwas Bumbug!,” a pop opera by Samrat Chakrabarti and Sanjiv Jhaveri, which recently made its off-Broadway debut. 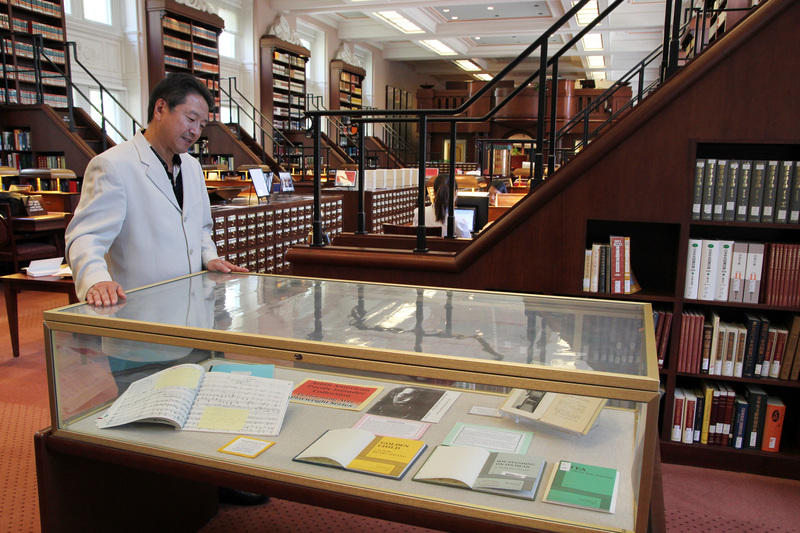 The Library of Congress’ goal is to establish a national Asian Pacific American holdings, with a nationwide outreach, and the focus of the display was in celebration of works by Asian American playwrights. 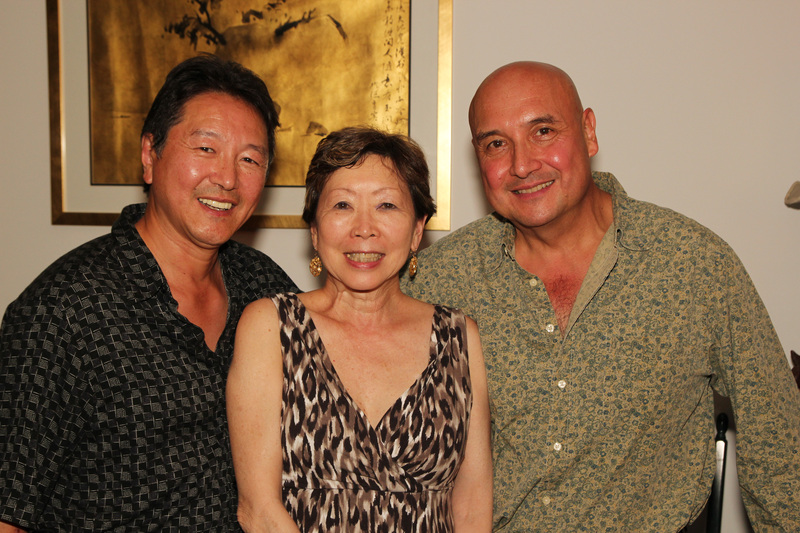 Drawn from the Performing Arts Playwrights Series in the Asian American Pacific Islander Collection, original scripts by Carlene Sobrino Bonnivier, Velina Hasu Houston, Christine Toy Johnson, Lani Montreal, Edgar Mendoza and Jeanne Sakata are on view. The display also highlights works by Frank Chin, Philip Kan Gotanda, Jessica Hagedorn, David Henry Hwang, Genny Lim, Chay Yew and others. Two days later, I joined Rick at Julie Azuma and Tamio Spiegel’s apartment in New York, where they hosted a swell book party for him. 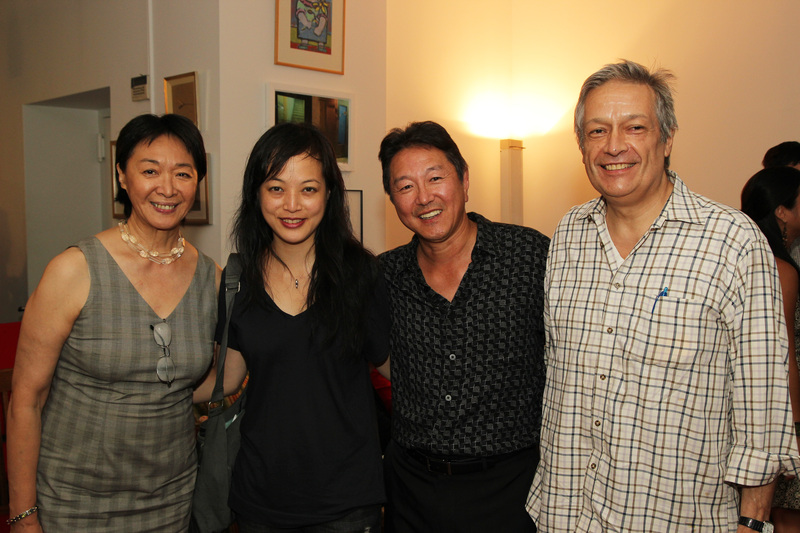 The Asian American Arts scene turned out in this reunion of sorts, including Tisa Chang, Artistic Producing Director of Pan Asian Repertory Theatre, Carla Ching, Artistic Director of Second Generation, and Jorge Ortoll, Executive Director of Ma-Yi Theater; authors Henry Chang and Ed Lin; actors Raul Aranas and Henry Yuk; artist Tomie Arai, director Stann Nakazono; and Kentaro Ando and Masakazu Kigure, from the Consulate General of Japan. Cathie Hartnett of My Talk Radio in St Paul, Carol Connolly, the poet Laureate of St. Paul and Phil Nash from Washington D.C., stopped in as well. 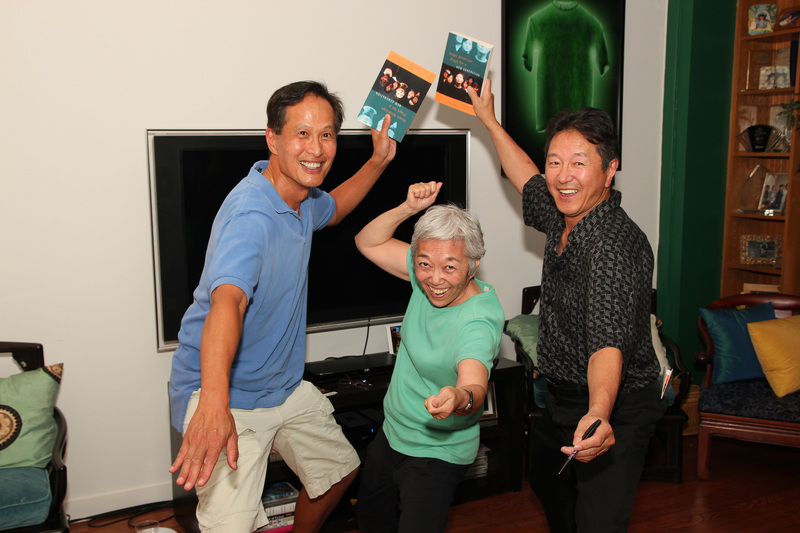 Playwright Aurorae Khoo, whose play “Happy Valley” is in the anthology, talked about the process of developing her play with Mu Performing Arts, while actors Cindy Cheung, Fay Ann Lee, Amy Chang and Sean Tarjoto read excerpts from plays featured in the book. 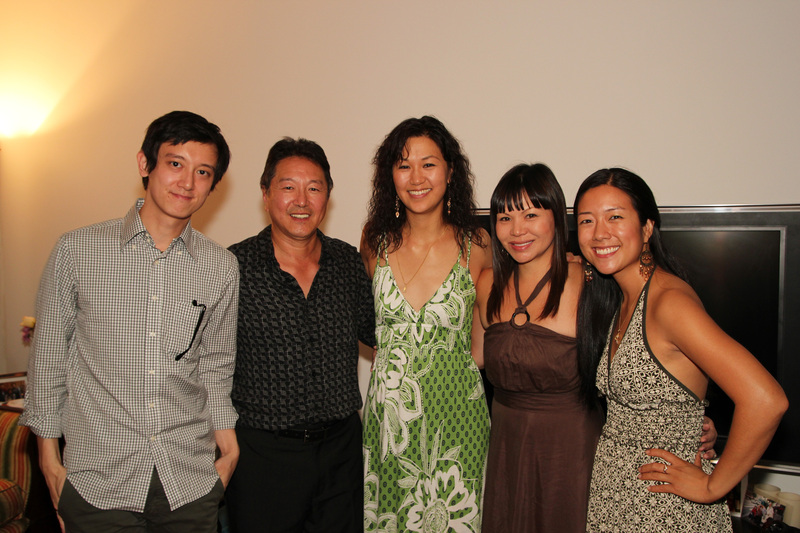 Rick took the time to answer some questions about “Asian American Plays for a New Generation”. How does this anthology live up to its title? issue at the Library of Congress). 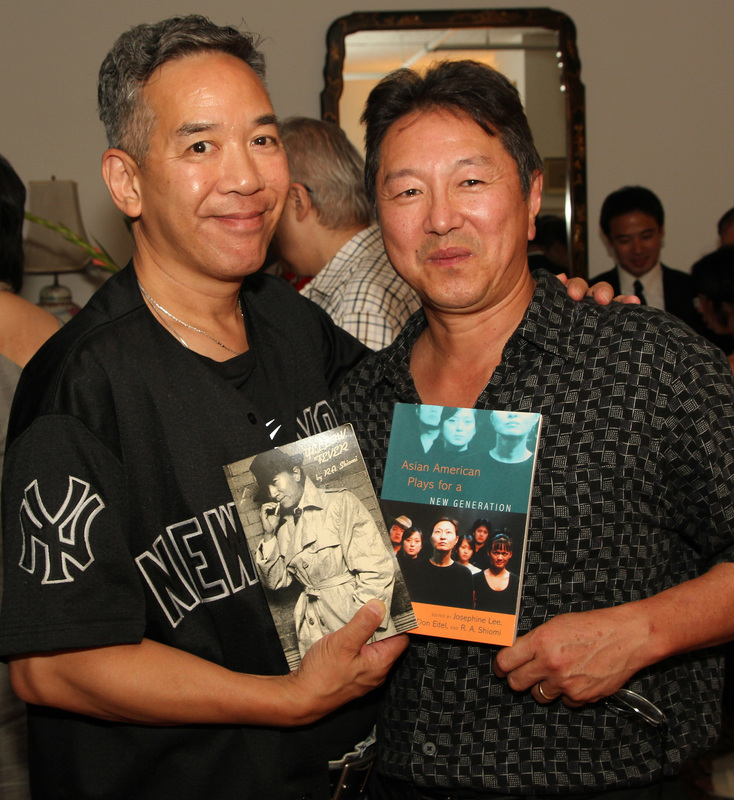 But there are also plays about LGBTQI issues in Asian American families, transnational events such as the transfer of Hong Kong to China and the history of women in the media and performance. So I feel the anthology truly addresses the issues and conversational framework for Asian Americans in the 21st century. How was Mu Performing Arts involved in the book? 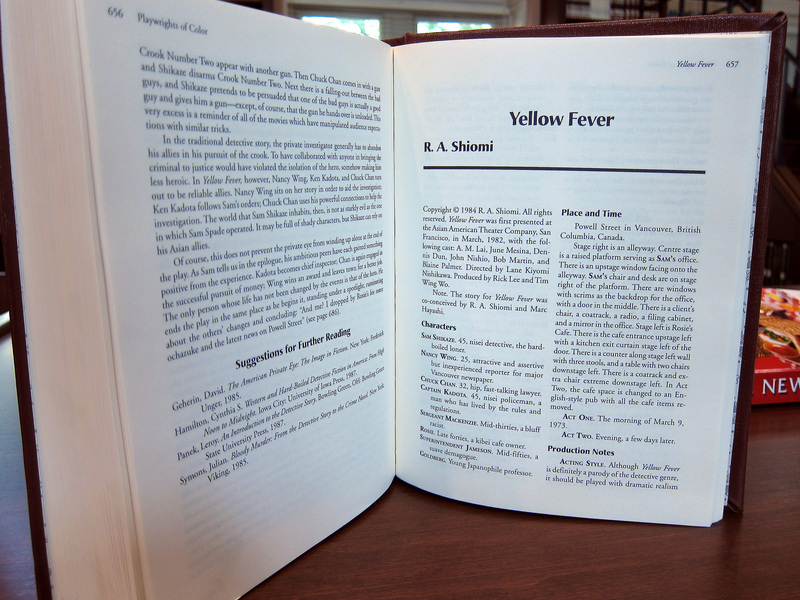 Rick: Mu Performing Arts helped to develop and produce the world premiere of six of the seven plays in this anthology. 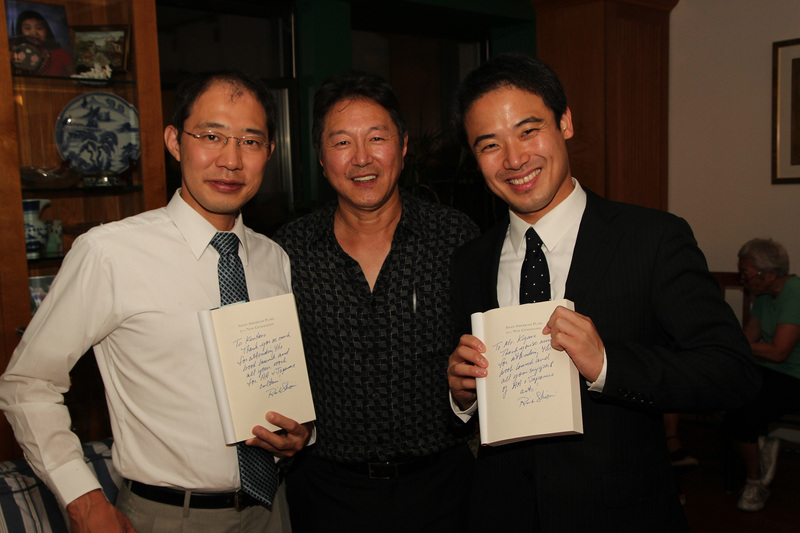 Through programs funded by the Jerome and Ford Foundations, we have been able to focus on developing new work by emerging Asian American writers. 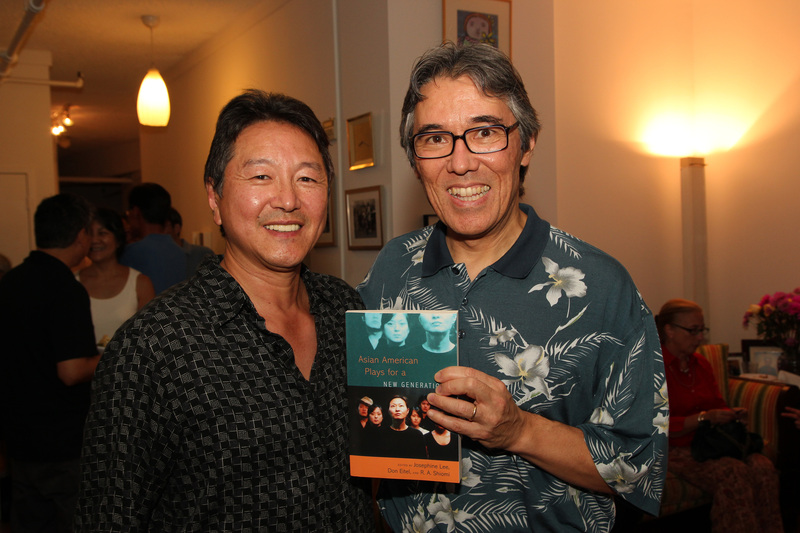 With two of the three book editors on staff at Mu, we were able to look at over a dozen new plays produced by Mu in the past decade and other plays we felt were in the same realm, before we selected the ones in this anthology. What’s your favorite story in regards to the plays in this book? Rick: I have two stories and both reflect how initial problems in the development of plays can be deceiving and ultimately overcome. The first is about “Asiamnesia” by Sun Mee Chomet. It started as a group writing effort in our Jerome New Performance Program. 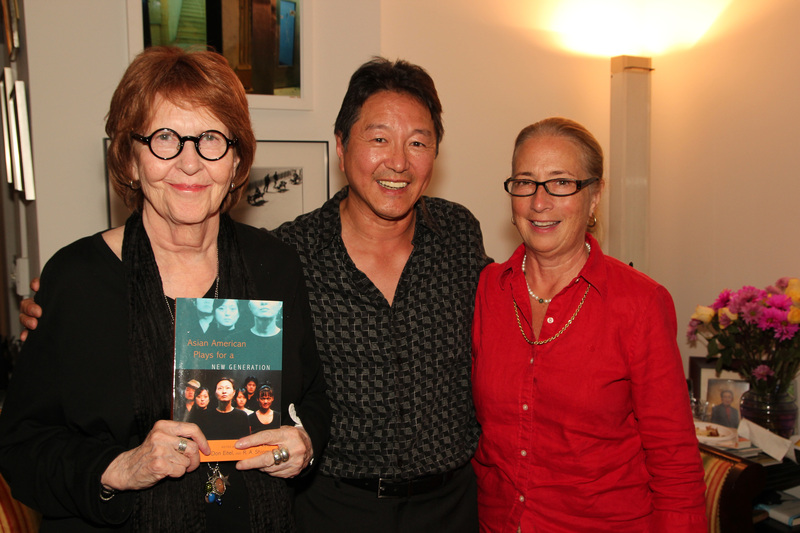 Sun Mee had gathered a group of Asian American women writers to create the play but through several drafts we never thought it worked well because the writing was too disparate. 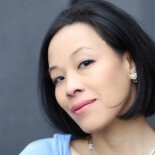 Finally, we asked Sun Mee to write the play herself and she did with great success as the play was recognized by the Minneapolis Star Tribune critic, Rohan Preston, as the “best new script” of 2008, So in a way I feel Sun Mee failed her way to success, through talent and determination. The second story is about “Bahala Na,” by Clarence Coo. When we first read it, we felt it was too poetic to work on stage but when we actually did a reading of it, we all loved the style because it fit the epic nature of play. So we decided to work on it as part of our Ford Foundation, Emerging Writers of Color Program and eventually produced the world premiere of the play in 2007. For more information about the division and its holdings, go to www.loc.gov/rr/asian/. Selections of Lia’s archive of Asian Pacific Americans in the arts, fashion, journalism, politics and space are now in the newly created LIA CHANG THEATER PORTFOLIO in the ASIAN PACIFIC AMERICAN PERFORMING ARTS COLLECTION housed in the Library of Congress Asian Division’s Asian American Pacific Islander Collection. 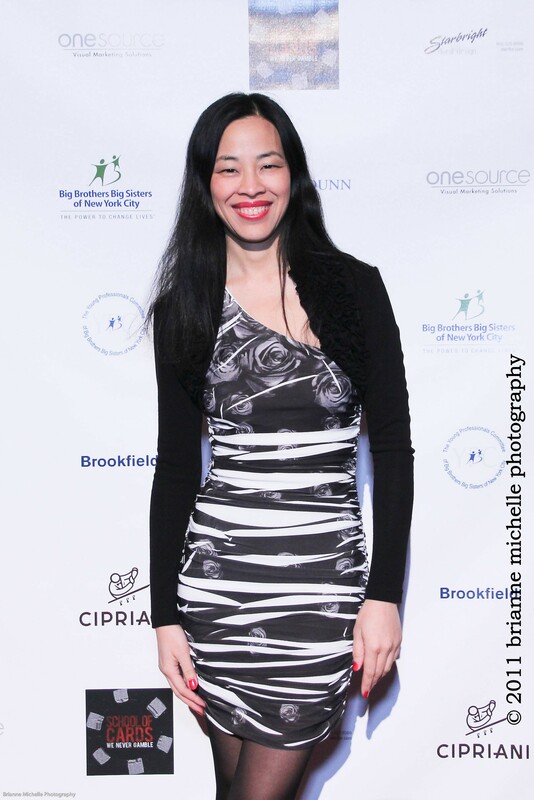 This entry was posted on August 2, 2011 by Lia Chang in Asian American Artists, Asian American Issues, Asian American Pioneers, Entertainment, Literature, New York, Performance Photography, Theater, Travel and tagged AAPI Collection, Andrew Asnes, Angela Lin, Asiamnesia, Asian American Pacific Islander Collection, Asian American Plays, Asian American Plays for a New Generation, Asian Division Reading Room, Asian publications, Aurorae Khoo, Backstage Pass with Lia Chang, Bakwas Bumbug, BD Wong, Carla Ching, Carol Connolly, Cathie Hartnett, Ching Chong Chinaman, Chinglish, Christine Toy Johnson, Clarence Coo, Darren Lee, David Henry Hwang, Disney, Disney's The Lion King Las Vegas, Don Eitel, Ed Lin, Happy Valley, Heading East, Henry Chang, In Rehearsal, Indian Cowboy, James Madison Building, Jeanne Sakata, Jorge Ortoll, Josephine Lee, Kurt Miyashiro, Lani Montreal, Lauren Yee, Leon Ko, Lia Chang, Lia Chang Theater Portfolio, Library of Congress, Ma-Yi Theater, MaryAnn Hu, May Lee Yang, Ming Lee, Minneapolis Bahala Na, model minority, Mu Performing Arts, Pan Asian Repertory Theatre, pan-Asian performing arts organization, Playwrights' Archives, R.A. Shiomi, Rick Shiomi, robert lee, Samrat Chakrabarti, Sanjiv Jhaveri, Second Generation, St. Paul, Sun Mee Chomet Sia(b), Sundraya Kase, Temple University Press, The Lion King, the Midwest, The Peach Boy, Thom Sesma, Thomas Jefferson Building, Tisa Chang, Velina Hasu Houston, Walleye Kid The Musical, Washington D.C., Zaraawar Mistry.